McDonald's turned their customers into copywriters in this interactive digital campaign for the Angus Third Pounder burger. 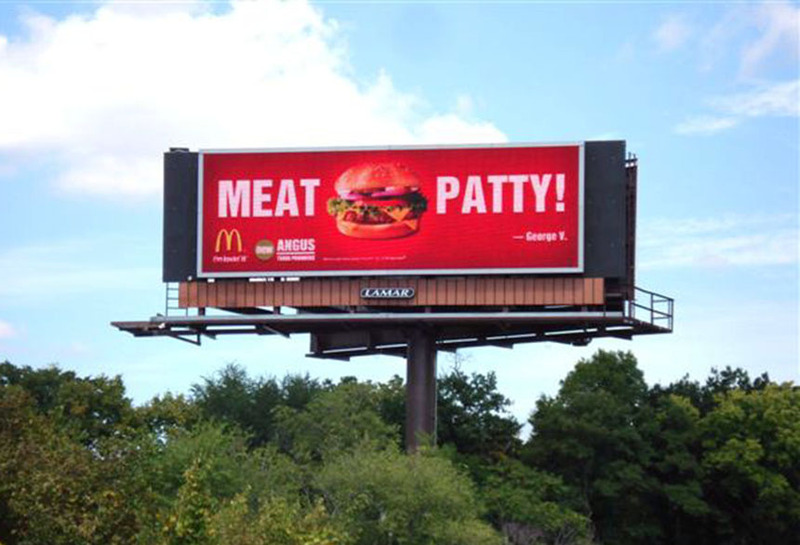 Customers were asked to submit a two-word slogan to describe the new Angus Third Pounder burger online at www.honorangus.com or by text message. As individuals submitted descriptions online, the headlines automatically appeared on 13 digital billboards in Kansas City, MO. The taglines continued to change throughout the day in real time, thanks to Lamar's digital technology.